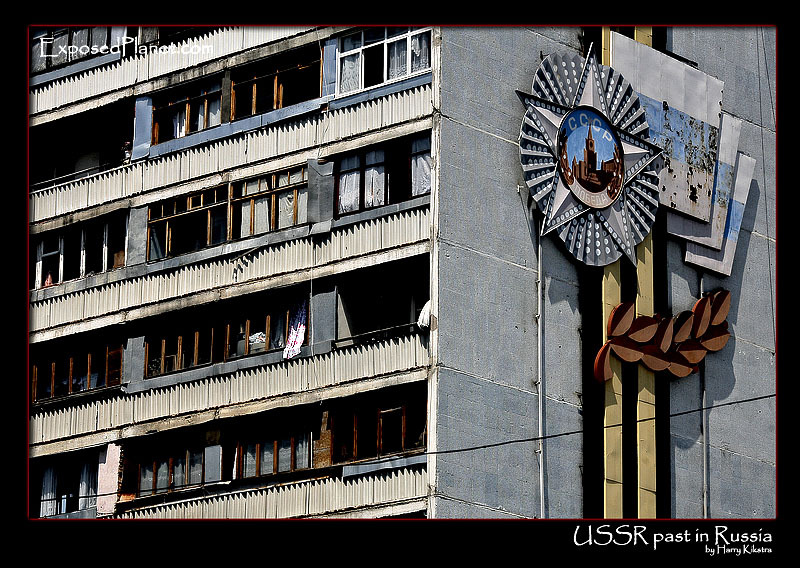 The story behind "USSR past in Russia"
The old CCCP (USSR) shields are starting to fade and rust, on the side of an apartment building in Kislovodsk. First it seemed to be empty, but closer inspection showed that many people are living there. Nowadays in the big cities like Moscow enormous renovations are taking place to build apartments for the nouveau riche (Moscow is the most expensive city in the world), but in less popular and central places like here in the Caucasus it takes a while longer. By the way, do not get fooled by this shot, the city of Kislovodsk is actually very nice with an old hot-springs complex, a giant new cathedral and one of the largest city-parks in the world.